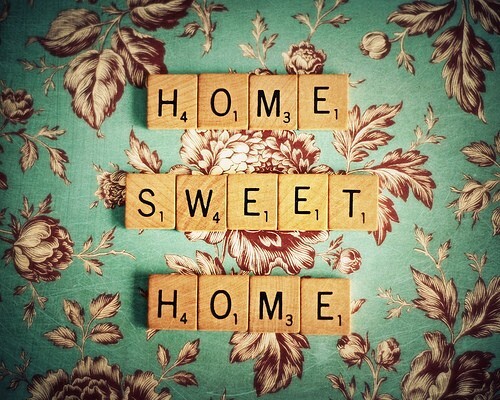 Ever So Juliet | Edinburgh lifestyle blog: I bought a house! Hello! I've got some exciting news to share (can you guess what it is? Ha). I've mentioned very briefly before that Craig & I were house-hunting (and had found a lovely place), but I was doing my very best not to get TOO excited while the mortgage application was going through... I've heard so many horror stories about things that happen to first-time buyers, and was paranoid that something unexpected would happen to us! But hooray, hooray, this morning I got an email saying that our application has gone through and paperwork is in the post! We've gone for a new-build house on the outskirts of Edinburgh - it's only 30 minutes from the centre of town by bus (which is nothing! ), but is right next to a country park AND an equestrian centre (hello!). We'll have a garden which means that Riley will be allowed to go outside, and sometime next year we can get a dog (and I've already been given the go ahead to bring future dog to work with me!). It's also got three bedrooms, so I can fulfill my life long dream & have a personal library (something like this would be lovely). It's not actually built yet, but we have a provisional move-in date in April! This gives me four months to plan what to do with each room, get obsessed with interiors/design blogs (send me links please! ), wait impatiently for an pinterest invite & squirrel away all money I can into savings! Yay. What a happy Friday treat. Awww! I can feel your excitement in this post! It's a lovely thing buying your first home together. My husband and I are on our second house and I'm sure in the future there will be a third!! Riley will love it I'm sure and I'm so pleased you'll be able to get a dog too!